SMS Marketing Providers are able to efficiently distribute SMS about your product or service via mobile and internet networks. Understanding their software capabilities will help you decide which Marketing Provider will service you best. Basically SMS Marketing is associated with buying and selling a product or a service to an individual or a group of people. 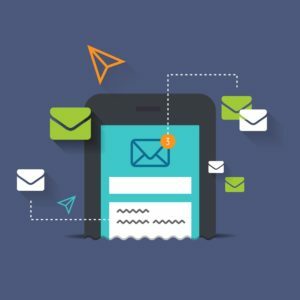 In the case of SMS Marketing by the use of mobile phones, it provides an online format that reaches a target audience who use their smart phone, tablet or any other related telecommunication equipment through the avenues of websites, e-mail, SMS or MMS, social media or any other mobile applications. The great advantage about SMS marketing is that most people have a mobile phone and they can be provided with immediate personalised information that helps promote or sell a god, service and an idea. Sending emails is not always effective but to send an SMS message directly to the mobile phones of the client’s contacts will normally reach the person(s) wherever they are within a matter of seconds. The charges need to be reviewed and as this table shows, ClickSend is the Best Value from a pricing point of view. What type of SMS Marketing Software is required by a Client? The answer to the question of what type of SMS Marketing Software is needed for a client to instruct a SMS Marketing provider to send information is virtually minimal. Only access to the internet from a MAC or a PC, whether it is an iPad or a Tablet or a smartphone is required and the rest is done by the SMS Marketing provider. The SMS marketing system in the Provider’s database marketing package will mean that they can easily create your message be able to target the audience from the database of contact you provided and then formulate the system so that the text message is sent off within a short time of receiving the instruction. The SMS can be distributed immediately or can be scheduled for a specific time nominated by the client. So, sending short text messages is an efficient method of communication with the people needing or wanting the information. Many of the SMS Marketing Providers have the information technology tools to disseminate quickly, saving businesses a significant amount of time and of course, money. 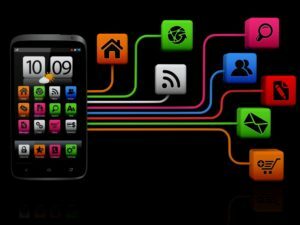 What reliable software do SMS Marketing providers offer? Based on all the reviews done into the reliability of the SMS Marketing providers, they can cater for large volumes of text messages being distributed all at the same time. 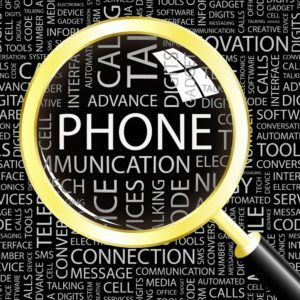 The software available allows for the addition of numerous mobile numbers either sent individually or in group, dependent on the client’s request. This is done through the provider’s software application using a text file or a CSV file. Some of the applications can delete duplication or able to validate the message before distribution. Most of the SMS Marketing companies possess the application program interface know as SMS APIs and SDKs. This can automate the client’s business providing full support for languages, secure FTP, SMPP and any third party applications. This integration into the system means that businesses can automatically distribute text messages using the software that is present and used by the providers. What Providers use such software? From a review of major SMS Marketing providers in UK it was seen that they all use the interfaces platforms outlines in the content above. Of course, some SMS companies do have more developed technology with more ways to service the clients but they all do the work of ensuring promotional and marketing messages are disseminated efficiently. The major issue is the use of direct or hybrid telecommunication carriers. Some providers may service the client with a cheaper rate but in most cases this will mean using a cheaper less effective hybrid or overseas carrier. The direct telecommunication carriers such as Telstra, Vodaphone and Optus are the more reliable and efficient ones but their charges are higher. From the range of SMS Marketing providers investigated and reviewed the best one for value and efficiency is UK’s ClickSend. As already stated, SMS Marketing can be a highly efficient and effective means of reaching to a wide range of customers within just five minutes of a message being received. The software allows capturing clients’ contacts with personalised text messages. It uses a simple merge feature to insert a person’s name and thereby attract attention of the customer or person receiving the message. The system will allow you to select the merge feature so that the personalised merge information will be automatically added to each person text message. Another software option is known as Shortcodes which allow for text opt-ins to occur using shortcode keywords. This is a simple and engaging way since it allows people to take action with a few keystrokes. Shortcodes are very helpful for marketing a contest or a promotion or a charity event. Follow up on text responses using marketing automation. By establishing a detailed text message campaign or promotion, one can create messages that will automatically be sent based on subscriber actions. This software system provides straight away a customer service and doesn’t matter if the provider is busy to respond to your request. All the software provided by British SMS companies is compliant with CAN-SPAM and CASL. These SMS providers will allow subscribers to request removal form the system by easily texting the word “Stop” to their mobile number. Additionally, unsubscribes may be included to the company’s opt-out list. By maintaining the unsubscribe list up to date will mean that the client will be legally compliant. Of course, there are other marketing software programs that business should recommended such as those sited in this Forbes article. What does SMS Marketing Comparison Table and sites offer? The question of the heading ‘What does SMS Comparison Table and sites offer?’ has a simple answer. This free SMS Comparison Table provides you with an easy-to-use means of determining what are the essential features you require for marketing your product or services. It shows the reputable British SMS Marketing companies and what they have to offer their prospective and current clients. It shows what are the essential features, charges, reliability and customer care services. It is like your ready reckoner for you to decide who to employ. The Comparison Table was established by experts in the SMS field who do not work for any of the companies selected so the independent assessment that can be provide. Since the authors know what are the essential features they have formed this Table and written about the features for your review and decision making process. The Comparison Table and sites do get reviewed and upgraded on an ongoing time period however should you find that some of the content needs updating please do not hesitate to contact the authors and changes will be immediately made. As stated above the Comparison Table and sites are free to you however should you decide to engage one of the SMS Marketing companies reviewed then the authors will request a commission from the company you employed to do your marketing and communication work. If your looking for a more simple inbound marketing offering a source like Hubspot should be considered.